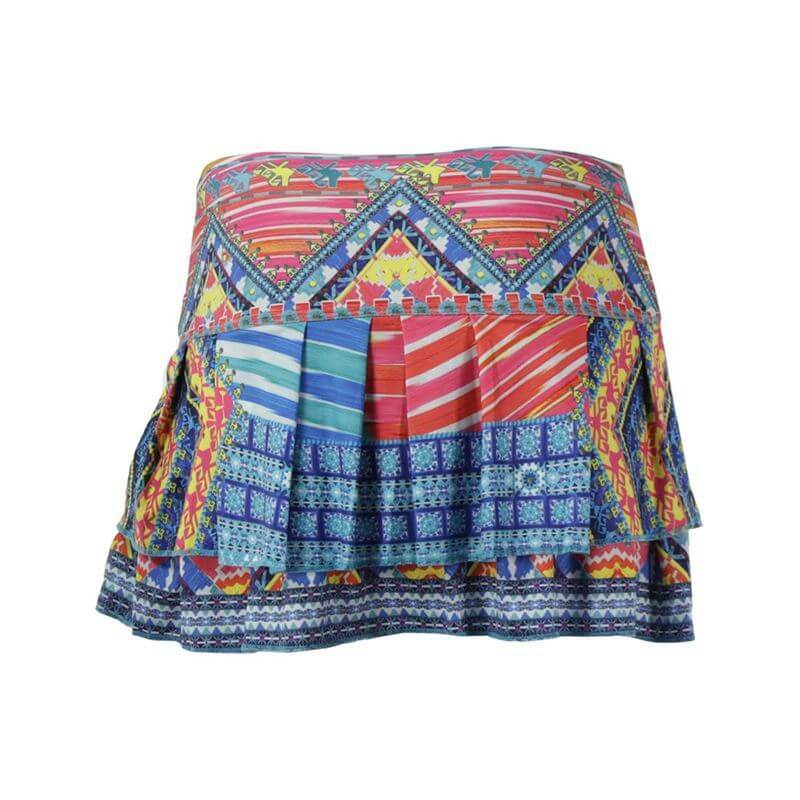 With so many colors in the print, this skirt has endless mix-and-match options. 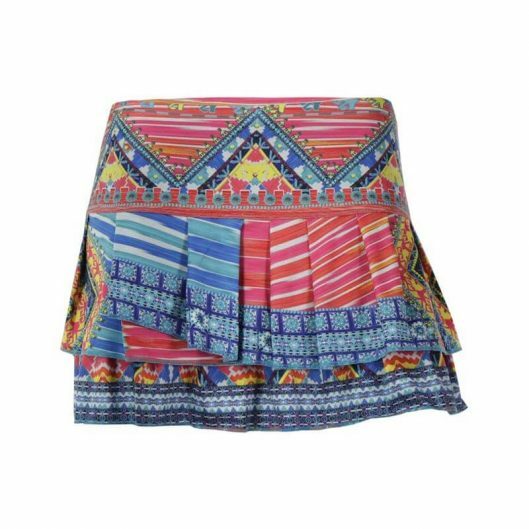 The Lucky in Love Boho Chic Pleat Tier Skirt features an elastic waistband, matching print on the built-in compression short, pleats on the top layer, and moisture-wicking fabric. 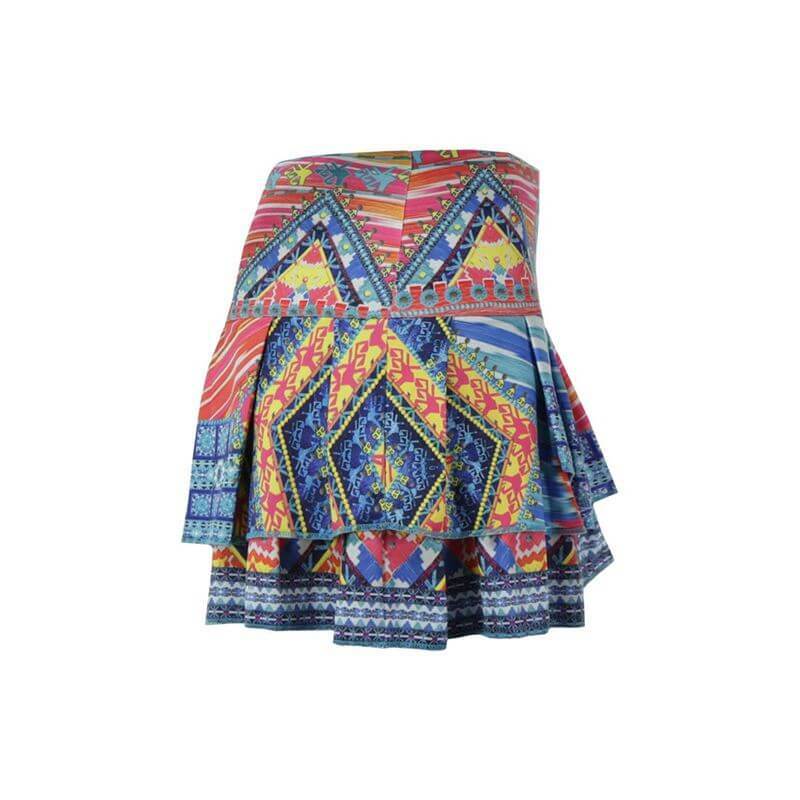 There’s also mesh beneath the tiers helps keep the skirt lightweight. 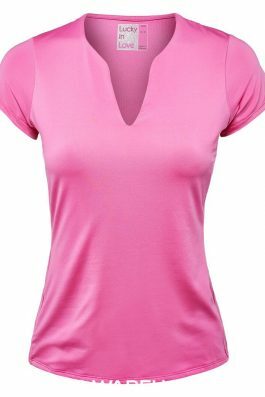 Content: 92% Polyester, 8% Spandex.